We are pleased to offer the following services at Holy Family Pet Care, PLLC. We encourage you to review our services and contact us with any questions you may have about what your pet will receive at our facility. Our receptionist will be happy to schedule an appointment for your visit. Although walk ins are accepted, we do prefer appointments so that you and your pet will not have to wait an unreasonable amount of time to be seen. We strive to reduce or eliminate stress to both you and your pet by decreasing the amount of time you have to wait. Emergencies are always unforeseen and are given priority to be seen first. If you have an emergency and it is possible, please call ahead to let us know you are on the way. 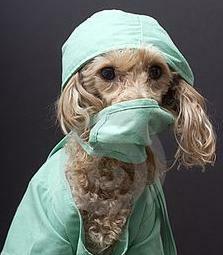 Here at Holy Family Pet Care, we recommend an annual physical exam to ensure the health of your pet. We will address each patients' individual needs for vaccinations and we strongly recommend yearly heart worm test and monthly heart worm preventive medication to keep your pet healthy and happy. 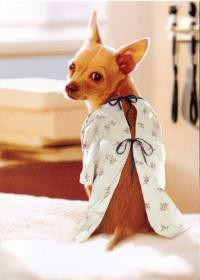 As your pet comes into the geriatric stages of life we recommend a comprehensive physical exam at least twice a year. 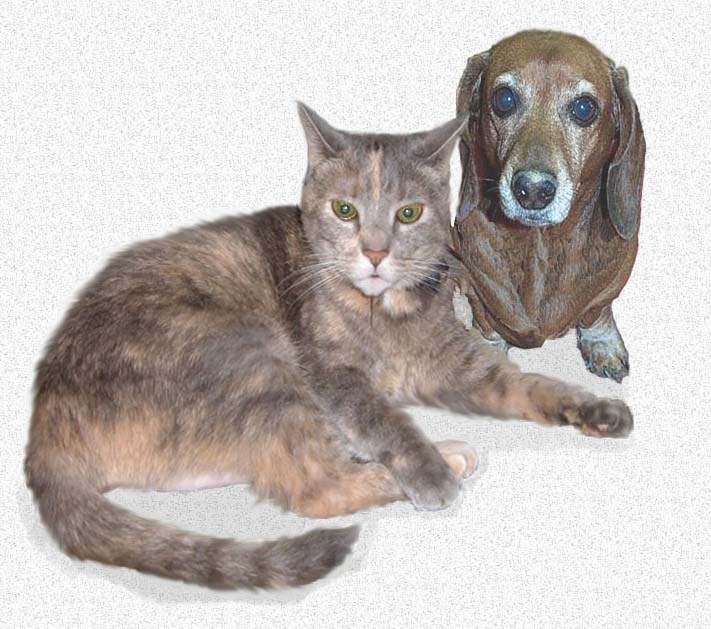 We can help you to determine the needs of your aging pet from nutrition to pain management. Dental Disease is one of the most commonly missed problems we encounter because it is so often overlooked. Untreated dental disease can lead to serious health problems associated with the heart, kidneys or liver. 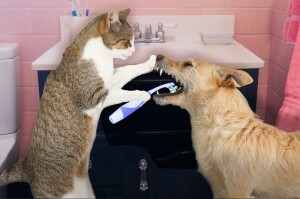 Here at Holy Family Pet Care, PLLC we offer dental exams, dental cleanings, extractions and pain management. 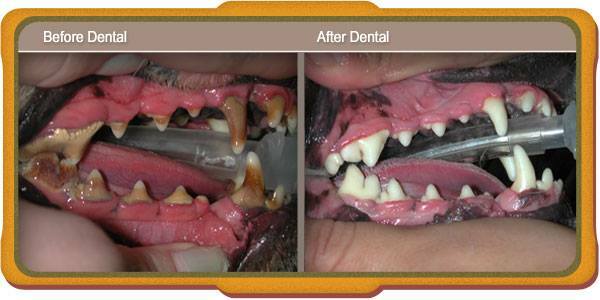 Contact us today to learn more about how we can help your pet to have a healthier mouth. Who would have thought that out in the desert Southwest your pet could have skin problems? Allergies, external parasites, skin infections can all make your pet miserable. If your pet is scratching excessively or sometimes only just smells bad it could be a problem. Contact us to schedule an appointment to see how we might help your pet. When your beloved pet is just not feeling well we can help to find out what the problem is. We offer comprehensive physical exams, comprehensive blood panels, x-rays and referrals to specialists in the veterinary field if necessary. We offer surgical services at Holy Family Pet Care, PLLC that range from elective procedures such as spaying and neutering to laceration repairs, growth removals and even foreign body removals. Each of our surgical patients will receive intravenous fluids to help support blood pressure while they are under anesthesia to help protect the kidneys. Each patient is also closely observed by one of our pet nurses who is constantly monitoring heart rate, oxygen saturation, blood pressure and temperature during the procedure. We will bring the Doctor to you! Call to find out if a house call is right for you! 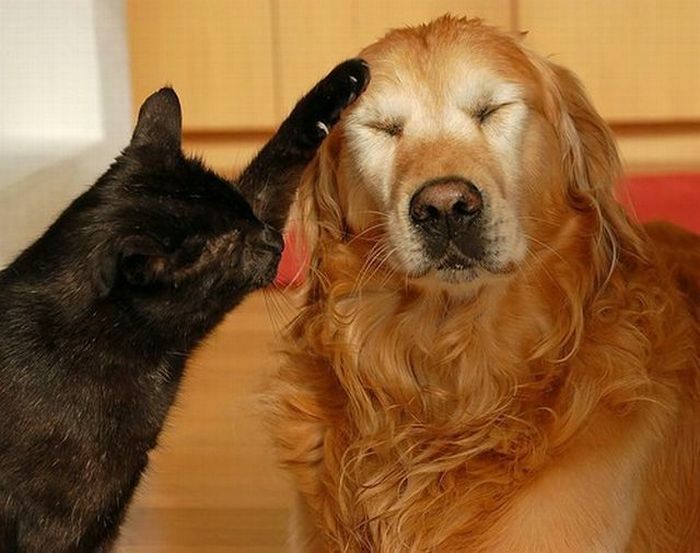 We will be happy to help you with the needs of your pet!